The doors to House of Blues opened at 8 p.m. Monday night to a trove of Ruff Ryder vests for the 20 year anniversary tour of Its Dark and Hell is Hot. A DJ got the night going around 8:30 with great throwback mix which the crowd was loving. There were two openers this evening – much to the surprise of everyone, venue staff included. I honestly didn’t catch the names of either and with no one else on the bill its hard to say who they were. The first took the stage around 9:20 and the crowd seemed to really like him with songs hitting multiple parts of rap. The second came on around 10 to a very impatient crowd that had grown tired and agitated. With some solid lyricism and crowd interaction he changed the room to his favor. DMX took the stage around 10:40 to a roar from the crowd that was brimming with excitement and what looked to be close to a sell out. Instant movement began the second he hit the stage with his signature growl and raspy voice. The night was a time capsule taking us back to 1998. He hasn’t lost a beat and is still the same hype performer he was when It’s Dark and Hell is Hot dropped. An intro got the set started, followed by “We Right Here” which got the crowd moving and put the security staff on edge. He touched heavily on the tour namesake which is to be expected. “Ruff Ryders Anthem” sent the crowd into a frenzy heightened by every song that followed. He talked freely between songs, really taking in the moment and showing appreciation for everyone in attendance multiple times throughout the evening. “Get At Me Dog” was the next track the crowd was hoping to hear and he didn’t disappoint. He covered the huge House of Blues stage constantly and I had to chase him quite a bit while in the photo pit. “Party Up (Up In Here)” got the best reaction and was honestly the song I was most hoping to hear. I have never had the opportunity to see him live, so I’m so happy it was everything I wanted as a fan – and it was even better getting to photograph this great set. He was humble and engaging, all while being a powerful figure. Ending his set with “Prayer” was fitting for the circumstances leading up to this comeback. Happy to have you back Mr. X and I’m looking forward to the new music. 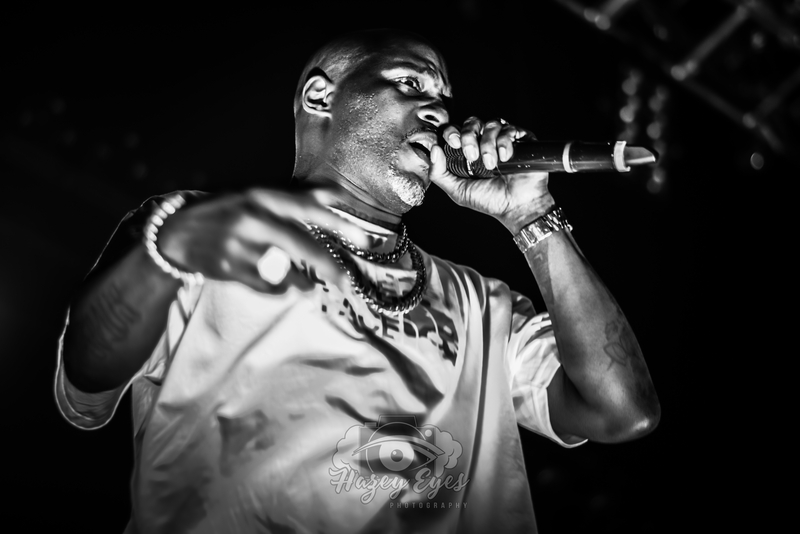 DMX @ House of Blues, Dallas, TX. Photo by Brently Kirksey.